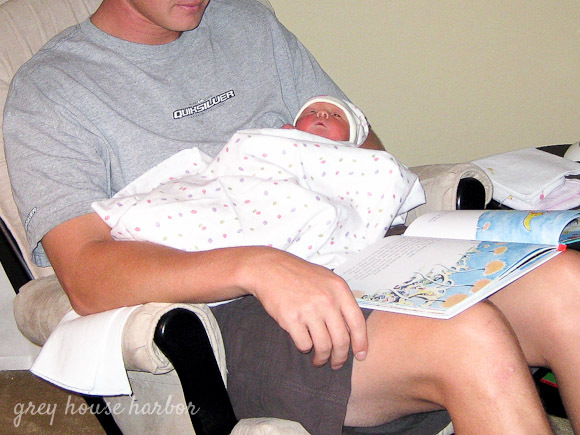 Songbird has had infinite patience for books from the beginning, always attentive and delicate with the pages. But Bug only recently joined the literature loving ranks. He is (mostly) able to sit through an entire story and enjoys looking at books by himself. 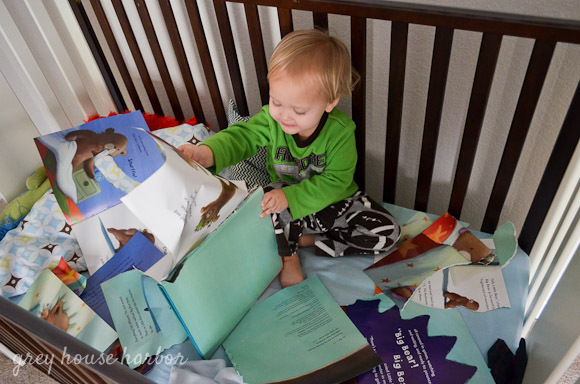 Many nights he will ask to “read” in his crib until he falls asleep. The other day, however, I walked in on a murder scene. His love of books and his love of destruction had finally come to an impasse. Is it bad that my first reaction was to grab my camera?! Haha. 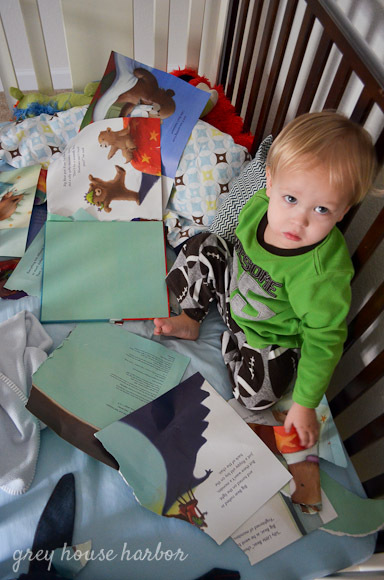 Yes, we’ve limited his crib books to hard pages only now. Oh my!! Love the look on his face in the last photo…precious!!!!!! It’s not bad at all that grabbing your camera was your first reaction! I have pics of songbird and my girl completely covered in a thick wierd foot cream…along with my couch…coffee table…..carpet. If we didn’t find it amusing we would lose our minds. That book was DOA; might as well snap pics for posterity! Oh, yes… the footcream incident of 2010. I remember it well!